Driving in Japan is the stuff of nightmares. I like to imagine that Dante was mistaken when he said the 7th circle of hell is a river of boiling blood and fire. It’s definitely just continuous traffic on a highway in Japan surrounded by trucks. The Japanese people are so lovely and caring. They are considerate of one another and law-obeying (typically). This might actually be one of the problems. People get overly excited and want to let in that car waiting to turn left from 7-11.. and the car waiting behind them, and the next, and the– STOP! You’ve been nice to 3 cars now and really rude to the 15 of us waiting behind you! I appreciate the sentiment, but I want to get to work on time. On the other hand, you’ve got the truck drivers. They’re some of the rudest people I’ve encountered on this earth. It shocks me to think that they were even raised in the Japanese culture. I can’t tell you how many times I’ve been nearly run off the road by an impatient truck driver. They’ll cut you off, make turns around you, crowd you out, ride your tale. All of it. Name any driving-sin, and I’ve seen it here. In my mind there are three kinds of people in Japan: Japanese, foreigners, and truck drivers. And then there is the road system. Imagine a place that just threw down roads where ever they were needed with no second thought of expansion or efficiency. That’s Japan. The names of places are written in “English” but most of the time, it doesn’t really help. Moreover, every now and then, you’ll get a sign only in kanji, as if they forgot. The roads are too small for the amount of traffic moving through them, so it’s always a gamble to get on a toll road, as it might be worse off than the alternative (free) route. 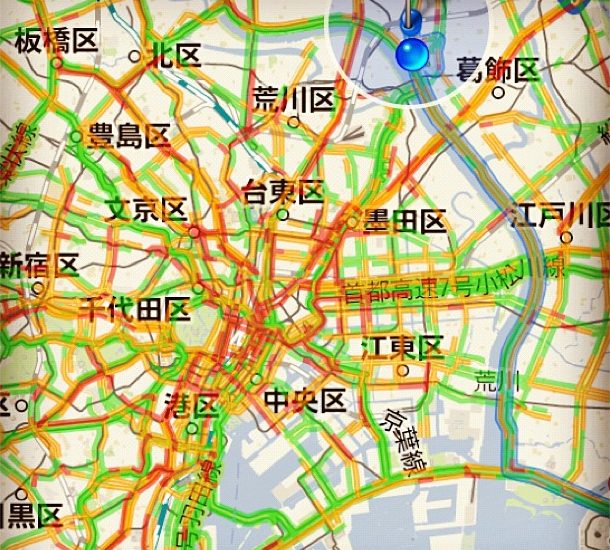 All the intersections look like spaghetti and are labeled in the most useless kanji. Every time I approach one, I have to steel myself so I don’t have a panic attack. One mistake can put you 40 minutes out of your way and zap 2,000yen from your wallet. Did I mention that you always have to add 30 minutes to the Google Maps approximation for travel time? Oh yea, it’s that bad. Don’t have a GPS enabled phone? Pray. Ha! Very funny (unless you have to live with it). If you ever get the chance, meet some truck drivers and find out why. Maybe they’re all from Boston.